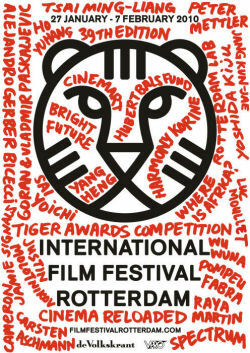 Supple magazine has been given accreditation for the coverage of the 39th edition of the International Film Festival Rotterdam, from January 27 to Sunday February 7, including the much coveted CineMart, from January 31 -February 3, 2010. Hundreds of filmmakers and other artists will show their films and special projects to a large audience in 24 screening venues located within central Rotterdam. Supple magazine will be among the over 3,000 newspapers and magazines, including radio and TV journalists and other stakeholders in the film industry coming to this highly acclaimed film festival. You are invited to join us. I want to use this medium to congratulate “Supple Magazine” for the positive and hard working ethics that earn you the accreditation for the coverage of the 39th edition of the International Film Festival Rotterdam. Do keep us proud (as usual) See you in Rotterdam!